Magic mushrooms are wild or cultivated mushrooms that contain one or both of two psychoactive, hallucinogenic ingredients called psilocybin and psilocin. Although certain cultures have known the hallucinogenic properties of some mushrooms for centuries, psilocybin was first isolated in 1958 by Dr. Albert Hofmann, who also discovered lysergic acid diethylamide (LSD). Magic mushrooms are often prepared by drying and are eaten by being mixed into food or drinks, although some people eat freshly picked magic mushrooms. Magic mushrooms often appeal to young people who are just starting to experiment with drugs and like the idea of a "free high" or a means of getting intoxicated without having to pay. They may assume that because magic mushrooms grow in the wild, they are also a legal high. In fact, magic mushrooms are not only illegal but they and their psychoactive constituents, psilocybin, and psilocin are classified under Schedule 1 of the Controlled Substances Act. As such, they carry the most severe penalties of illicit substances. Many believe that naturally occurring drugs like magic mushrooms, weed, and mescaline are harmless, that they are even sacred herbs that enable people to attain superior spiritual states. However, this attitude is both illogical and dangerous. Many mushrooms that can be mistaken for magic mushrooms are poisonous, and all hallucinogens carry the risk of triggering mental and emotional problems and causing accidents while under the influence. Among adolescents, magic mushrooms are frequently taken in combination with alcohol and other drugs, increasing the psychological and physical risks. 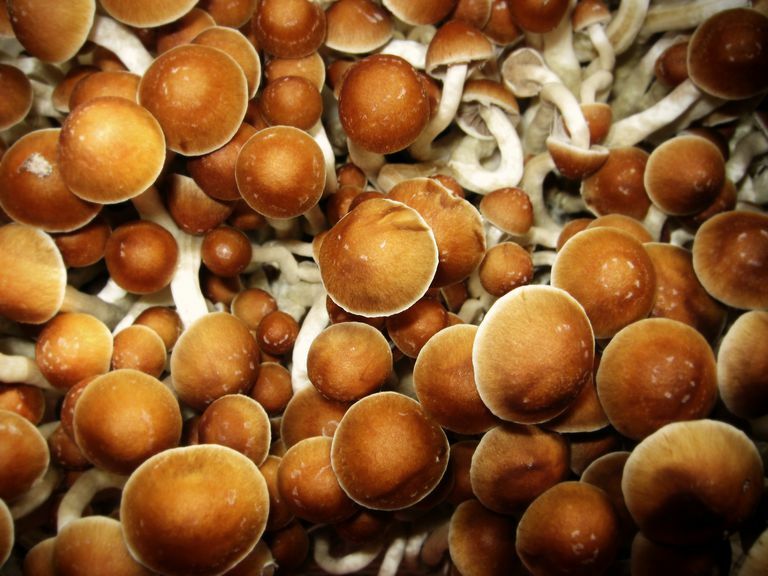 There are many myths about magic mushrooms. Some people will state, for example, that magic mushrooms are "safer" and produce a "milder" trip than other hallucinogenics. In fact, in addition to their potential to poison anyone who takes them, magic mushrooms are just as unpredictable in their effects as other drugs. Some people have reported much more intense and frightening hallucinations on magic mushrooms than on LSD. The amount of psilocybin and psilocin contained in any given magic mushroom is unknown, and mushrooms vary greatly in the amounts of psychoactive contents. Eating a magic mushroom could result in disappointment and a stomach ache, either through the mushroom itself or as a result of ingesting a parasite. But consuming a mushroom could just as easily result in a frightening experience, marked by hallucinations, delusions, and panic. In the worst-case scenario, magic mushrooms have even been known to cause convulsions. If you are tempted to buy prepared magic mushrooms, beware! A study of 886 samples alleged to be psilocybin mushrooms and analyzed by Pharm Chem Street Drug Laboratory, showed that only 252 (28%) were actually hallucinogenic, while 275 (31%) were regular store-bought mushrooms laced with LSD or phencyclidine (PCP), and 328 (37%) contained no drug at all. Flammer1, R.& Schenk-Jäger, K. "Mushroom poisoning: The dark side of mycetism." Therapeutische Umschau 357-364. 2009. Hayes, C. Tripping: An Anthology of True-Life Psychedelic Adventures. New York: Penguin. 2000. McCrawley EL, Brummett RE, Dana CW. "Convulsions from psilocybe mushroom poisoning." Proc West Pharmacol Soc 5:27-33. Renfroe C, Messinger TA. "Street drug analysis: An eleven year perspective on illicit drug alteration." Sem Adol Med l:247-58. 1985. Schwartz, R., & Smith, D. "Hallucinogenic Mushrooms." Clinical Pediatrics 27:70-73. 1988.